My friend is giving us a 15' x 30' above ground pool. We came home to measure where we were going to put it up. Because of the kickers we do not have enough space for the pool. My question is can you put the pool up without the kickers or can you put them about 2" - 3" in the ground then cover them up with dirt? Please Help???? Hi. The side braces are a very important part of an oval above ground pool. The profile pools, or buttress free pools as they are sometimes called, have a much different construction than the pools with the side buttresses. 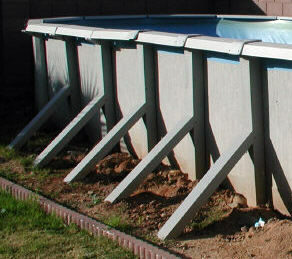 The brace assembly on your pool supports the weight of the water pushing out on the walls, along the straight sides. This is done by a combination of small pressure plates inside the pool and an angle brace angling back to a steel channel resting on a concrete block. 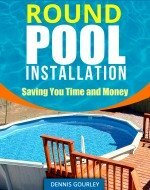 Pools without the angle brace have much larger pressure place areas inside the pool. They rest on a thick channel that protrudes into the pool, much like your channel extends outside the pool. The weight of the water on these large pressure plates keeps the sides from pushing out. The other major difference is the way the uprights are connected to the channel. With buttress free pools, the uprights are securely fastened to the channels with large bolts, and in many cases, large gusset plates. These assemblies are stout because they are holding back a lot of water pressure. So to answer your question, unless you know exactly what you are doing, do not modify the brace system on an oval above ground pool. You can, of course, sink it into the ground. In many cases that is all that is required to allow a brace system to fit into a tight area. You do, however, have to sink the entire pool to this level, not just the braces themselves. I am having a difficult time deciding on a buttress-free or buttress oval pool. One dealer who sells and builds buttress-free contend they are better. Another dealer says they are nothing but trouble and will not install them. What is the answer? Hi, The buttress free pool takes up less room in the yard and that's the only advantage. 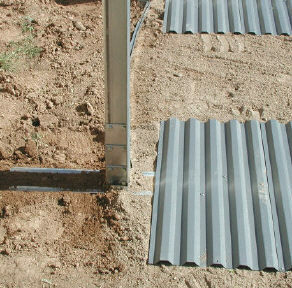 One is not better than the other, properly installed, they are equally as sturdy. They have different ways of dealing with the pressure on the sides of the pool. The buttress free design uses heavier gauge metal and more downward force inside the pool. With a buttress design the outward pressure is mostly handled out side the pool. Just different ways of doing the same thing. Can you bury the buttresses? If you ARE sinking the oval pool, do you even need to install the buttresses? Can you/are you allowed to bury the buttresses? Can they be buried? Hi Yes they can be buried and yes they are needed. When back filling a pool the dirt should always be lower than the water level. My recommendation is to fill the pool completely before and back filling. Either way, the pool needs to support itself just as if it were sitting on top of the ground.